Dr. Mona Misra, Advanced Surgical Specialists P.C. 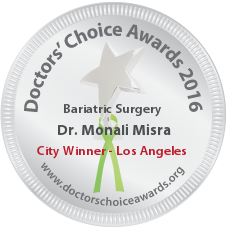 Dr. Mona Misra is a highly experienced and skilled bariatric and advanced laparoscopic surgeon, who has performed over 5,000 bariatric, advanced laparoscopic and endoscopic surgical procedures. Additionally, Dr. Misra is an expert clinical site reviewer for Metabolic and Bariatric Surgery Accreditation and Quality Improvement Program. She has presented research findings at numerous national and international meetings on advanced laparoscopic techniques and metabolic surgery. Following her formal education at the College of Medicine – University of Saskatchewan, and her surgical residency training at McMaster University- Hamilton, Ontario, Canada, she also received intensive fellowship training in advanced minimally invasive and weight loss surgery at the world famous Cedars-Sinai Medical Center in Los Angeles, California. Dr. Misra’s strong belief that each patient is an individual and that some procedures are better suited to address a patient’s needs than others, inspired her to establish an innovative path for healthcare in Canada. Dr. Misra served as the Director and Co-Founder of the first private Canadian comprehensive multidisciplinary outpatient weight loss program. Her clinic provided surgical, medical, psychological, nutritional, and fitness programs all in a single free-standing center, designed and built specifically to address the special needs of the bariatric patient. Dr. Mona Misra will always be known as a pioneer in Canadian bariatric surgery. 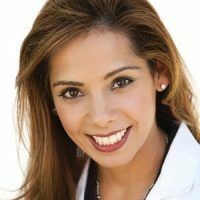 Dr. Misra provides her patients access to the most advanced and highly specialized techniques to treat their disease of obesity in Southern California. Dr. Misra places great emphasis on treating the individual patient. She understands that obesity is a complex disease and each patient may need something just a bit different at each visit to help them achieve their goals safely and permanently. She prides herself in providing compassionate, individualized care. Dr. Misra always gives her undivided attention and takes the time to truly listen to her patients, a trait that is so rarely found in busy surgeons today. She takes the time to explain everything to her patients, in plain English, making them feel special and comfortable with the process that will change and improve their lives forever. Dr. Misra’s care of her patients is second to none. Other than being a surgical ace with superb results she is also endowed with incredible charisma and bedside manners. It is not surprising that patients all over thw world seek her expertise. SHE would be my first choice as a physician and surgeon. My specialty is plastic surgery. I have been working with Dr. Misra for over 5 years, and I often treat her massive weight loss patient’s post-bariatric cosmetic issues. Every patient adores and raves about her. I have referred many patients to her, and when they make the appointment, I know that I have done the patient a great service. My highest recommendation. Dr Misra is certainly a highly skilled bariatric surgeon but just as important she is extraordinarily kind and compassionate. Anyone should feel extremely comfortable and confident with Dr Misra as their physician. I have known Dr. Mona Misra for the past 6 years. I have direct knowledge of patient interaction, medical and surgical skills, and most importantly surgical outcome. By its nature, field of bariatric surgery deals with complex patients, multiple underlying medical problems and patients who require hand holding and close follow up care for years. She is well liked by her patients, colleagues, nurses and all those who work with her. Dr. Misra is an gifted surgeon and is a shiny star. As a physician, I have no hesitation to undergo treatment by Dr. Misra. Dr. Misra is an exceptional physician and surgeon. Her skills in the OR are outstanding, and she always goes above and beyond for her patients. Dr Monali Misra is,as we used to say, “a rare breed”. She is not only a very skilled and professional surgeon, but she is also a compassionate and down-to-earth human being. She treats everyone with respect and dignity as an individual, and she integrates her high energy with grace and humility. Her patients are in the best of hands …her own. Dr. Misra is one of the best and caring surgeon I have known. She cares about her patient and value each person that works with her. Highly recommend if you are looking for any bariatric surgery . Dr. Misra is a very skilled, knowledgeable, and caring bariatric surgeon. I have worked with her on many occasions and I highly recommend her! I have had the pleasure of working with Dr. Misra for several years. I have found Dr. Misra to be a highly competent and skilled surgeon who cares deeply for her patients. Her warm personality is appreciated not only by the surgical team, but by her patients as well. It’s always a pleasure working with this top notch surgeon. I’ve had many mutual patients with Dr Mona Misra. She is proven to be very professional, competent, knowledgeable, and extremely caring. She is not only a great surgeon but also a wonderful person. Her patients adore her and have had great experience from all aspects of their surgery. I am a private physician in which I see a lot of obese patients in my practice which they have diabetes, high blood pressure and sleep Apnea in which I have been managing them for many years. The only way my patients have gotten better is through weight loss procedure. 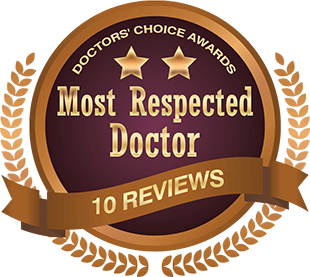 Dr. Misra and her surgical skill helped me and my patients to get them to their ideal weight and getting them off of their chronic medical condition. My practice has been better since she has helped my patients. Thank you Dr. Misra! I know Dr. Misra for more than 10 years. I have a privilege to observe her performing very technically demanding surgical procedures on a regular basis. She is a talented surgeon and a highly qualified physician. I would state without hesitation that Dr. Misra is one of the best in her professional field. Dr. Mona Misra is an exceptionally skilled surgeon. She is meticulous and takes excellent care of her patients. She takes pride in the quality of her care, which is evident in the highly successful outcomes for her patients. Dr. Misra is a excellent technical and cognitive surgeon. Patients as well as staff all love her. She is well respected by her colleagues. One of the top in her field.